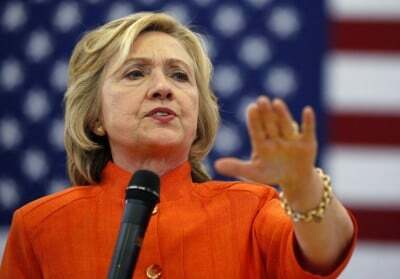 "The “sovereign immunity” she enjoys as an officeholder that has made Hillary Clinton so reckless and cavalier about the havoc she has wreaked around the world"
Wednesday, two shocking videos of police officers fatally shooting civilians (Alton Sterling and Philando Castile) surfaced. The day before, many were appalled to hear the Director of the FBI announce that Hillary Clinton would not be charged for mishandling classified information. The two events may seem unrelated, but at bottom, they concern the same fundamental problem: impunity. Power isn’t simply about the exertion of unjust force. It is about what happens next, after the exertion. Does the perpetrator generally get away with, or not? Systematically getting away with it – or impunity – is where power truly lies. And that is what makes agents of the State different from any other bully. State agents can violate rights with reliable impunity because a critical mass of the public considers the aggression of state agents to be exceptionally legitimate. Impunity is power, and as Lord Acton said, power corrupts. It is the “sovereign immunity” she enjoys as an officeholder that has made Hillary Clinton so reckless and cavalier about the havoc she has wreaked around the world. If she thought she might ever be held accountable for upending entire countries, she would have likely been far less warlike in her policies. Dan Sanchez is the Digital Content Manager at the Foundation for Economic Education (FEE), developing educational and inspiring content for FEE.org, including articles and courses.